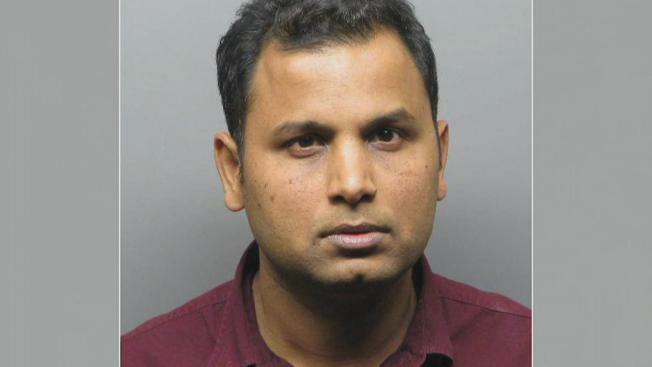 A doctor was arrested Tuesday on suspicion of sexually assaulting a patient and investigators believe there may be additional victims, according to the Contra Costa County Sheriff's Office. Rajesh Kumar Singla, a 36-year-old resident of Milpitas, is a family medicine doctor in the John Muir Health network who has been working out of an office at 1450 Treat Blvd. near Walnut Creek, sheriff's officials said. "We are shocked and saddened by the arrest of Dr. Rajesh Singla, a family medicine physician practicing at our outpatient center at 1450 Treat. The care and safety of our patients is always our highest priority, and we are cooperating fully with the Contra Costa County Sheriff’s Department on their ongoing investigation," John Muir Health spokesperson Ben Drew said in a statement. Dr. Singla is currently on leave pending the outcome of the investigation and the legal process. We will not have any additional comment at this time. Deputies launched an investigation based on complaints from a female patient earlier this month. Singla was arrested at his office on suspicion of sexual battery, indecent exposure and attempted oral copulation. He was being held at the Martinez Detention Facility on $130,000 bail until he made bail and was released early Tuesday, sheriff's officials said. Investigators believe other victims may be out there, and they're asking anyone with additional information to call detectives at 925-313-2621. Tips can also be emailed to tips@so.cccounty.us.